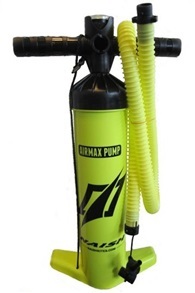 Buy Kite Pumps Online - Kitemana! 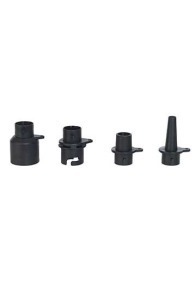 Looking for a kite pump? Kitemana has a wide variety of pumps available in almost all colors and sizes. 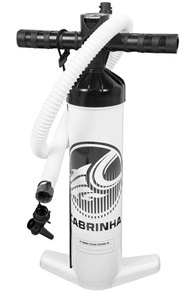 It's very important that you choose a kite pump that fits your kite and goes well into your travel bag. Inflating your kite can be annoying, especially if you use an old pump that doesn't work as good as it used to do. 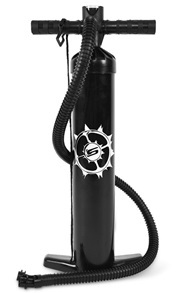 A new kite pump can easily reduce the hassle around getting yourself ready a lot more enjoyable. 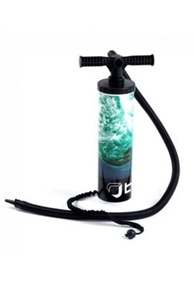 We have kite pumps with or without pressure gauge and always for the best price. 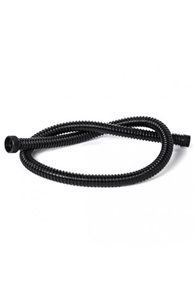 Do you have a question about a kite pump? Please call or email us. At the bottom of this page, we already answer some of the common questions.Read more. How hard do I have to inflate my kite? We get this question very often. This remains a pretty personal preference, but it's very important that you inflate your kite quite hard. A "hard" kite keeps its shape in the sky, steers good and floats well after a crash. A kite can endure quite a lot of pressure. Although be careful with a compressor, if you don't pay attention for a few seconds you can destroy your complete kite. A beginners error that many kiters have encountered. Besides a compressor, the temperature can have an effect on your kite. A dark-colored kite can be tricky when its really hot outside, because hot air expands, causing more pressure on the kite. For those hot days, we recommend pumping your kite a little less hard than usual. 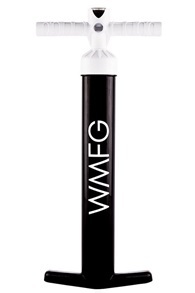 When you use a hand pump, stop at the point when you notice you're going to need a lot more strength to go any further. The pressure in your kite is often optimal around 9/10 PSI. Another little trick is to hit your kite with your nail. If you hear a high pitch, your kite is often at the right amount of pressure. It's especially important that your kite doesn't fold itself easily, otherwise, the kite will "jellyfish" in mid-air. What are the differences between most kite pumps? 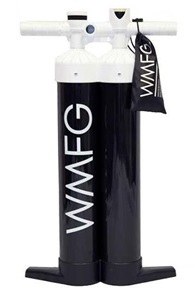 When buying a kite pump you need to pay attention to a few thing. 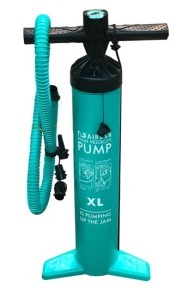 The biggest difference in pumps is their sizes or whether they have or haven't got a pressure gauge, hose, and attachments for different size valves. A good pump has a PSI/bar pressure gauge on board. By having this on your kite pump you can see how hard your kite is. 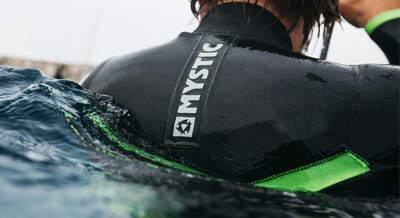 Very handy for beginners or for kiters who like to inflate their kite to a certain point which they like the most for every new kitesurf session. 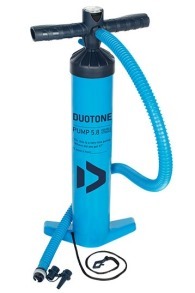 The size of the kite pump can differ slightly between the brands and types. 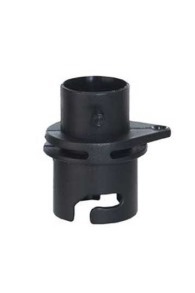 Today, we often see the kite pump 2.0, which is a very popular model in the kite scene. 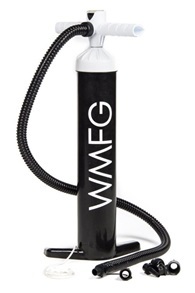 The 2.0 kite pump sold by brands like North, WFMG, Slingshot, and Mystic is bigger than its previous model and has a new hose with a pressure gauge. 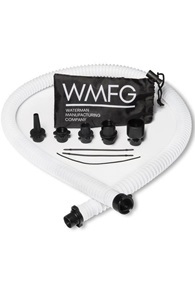 These pumps are by far the best in quickly inflating your kite. 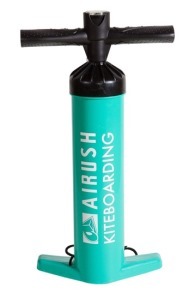 Thanks to the size of the pump, you pump a lot of air into the kite at a rapid pace. 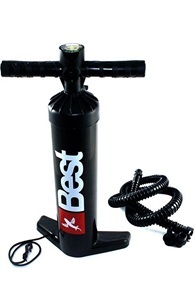 The disadvantage of the kite pump 2.0 is also the size, it is a lot bigger than the standard kite pump, which makes it more difficult to travel with it. 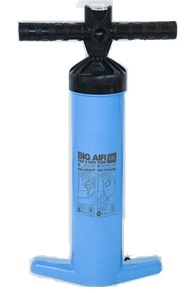 So if you travel a lot you might be better off with a small kite pump. How long does a kite pump last? 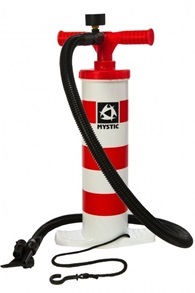 A kite pump often lasts for years. Therefore investing in a good kite pump is certainly a wise thing to do. 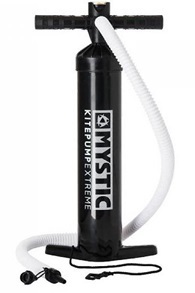 The durability of a kite pump mainly depends on how often the kite has been used. 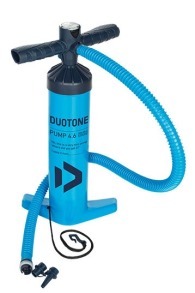 Roughly a kite pump should last 2 to 3 years. What's the difference between PSI & Bar? PSI is actually a more precise way to measure than Bar. 1 PSI = 0.06895 bar. It's the same with wind speed, you can measure wind in knots or Beaufort. To be more accurate in kitesurf scene it's better to say it in knots. 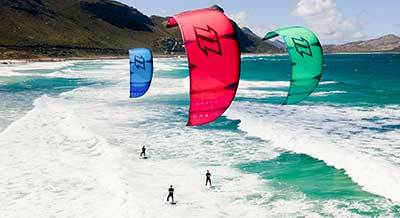 Most kites perform the best around the 8/10 psi which is about 0.7 bar.